Many attorneys think that probation violations are impossible to win and do not even try to present a defense for the clients. While some probation violations are difficult to defend, it is not impossible to have at least some level of success with the right legal representation. The attorneys at LEWIS & DICKSTEIN, P.L.L.C. have represented people facing misdemeanor and felony probation violations in state and federal court and we have a remarkable track record of success. Probation is considered by judges and prosecutors to be a privilege in Michigan. There are some judges that do take it personally when a person allegedly violates their probation. A probationary period is technically a court order so many judges will consider a violation of probation to be considered contempt of court. The sentence for a probation violation can be the term of incarceration for the original offense. A sentence for a probation violation depends on many, many things and it is wise to have the best legal representation available to help you if you want to avoid jail, prison or other potential consequences. A person can violate probation is any number of ways. A violation is simply doing (or not doing) something that a person was ordered to do or not do. A minor violation can include being late for a drug/alcohol test or missing a probation appointment. A major violation can include picking up a new charge or disappearing for months/years. The potential penalty often depends on the serious nature of the violation and whether or not it was a first violation or one of many violations. There can be any number of possible penalties depending on the violation and the previous history of the defendant while on probation. A worse case scenario is a sentence to a period of incarceration up to the maximum that could have been imposed originally. 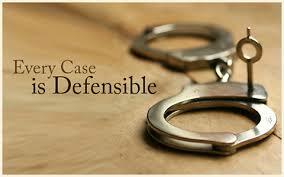 A best case scenario is a dismissal of the violation, a warning from the court, or merely an extension of probation. The inexperienced or bargain attorney will likely argue that the violation is isolated and it will not happen again, and keep their fingers crossed that the judge will agree or be lenient on sentencing. The experienced probation violation attorneys with LEWIS & DICKSTEIN, P.L.L.C. seek to get to know you, the nature of the alleged violation and why it happened, take positive steps to develop a defense with supporting evidence that (1) it did not happen, (2) it did not happen the way the probation officer claims or (3) it is not as serious as the probation officer claims. Our attorneys have access to expert witnesses (in all areas that might be needed – such as substance abuse, addiction and/or mental health) that can help evaluate the situation and assist in preparing a defense or in mitigating a potential sentence. If you are facing a probation violation, you have a right to a hearing. The probation department has the obligation to prove the violation by a preponderance of the evidence. This means that more likely than not the violation occurred. Therefore, if the evidence on both sides is equally believable then the defendant wins. You may make a decision that you do not want to have a hearing. Under both circumstances you need to have the best lawyers possible – either to argue your defense before the judge or to argue the reasons for the violation and to lessen the possible penalties. The Probation Violation Attorney You Choose Is Important. The choice of your attorney on a probation violation could mean the difference between incarceration or not. 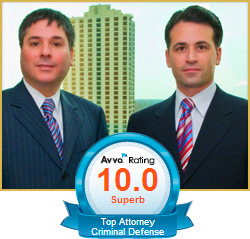 To protect yourself it is best to have the attorneys with the most experience and the finest reputation for being successful. LEWIS & DICKSTEIN, P.L.L.C. is the elite law firm for probation violations. Our attorneys have represented people on probation violations for decades with an unparalleled level of success and they are creative thinkers – who take each new case as an opportunity to keep someone from being abused by the criminal justice system. Prosecutors, probation officers and judges know that our attorneys are to be taken seriously. Please contact us at (248) 263-6800 for a free consultation or complete a Request for Assistance Form and one of our top notch attorneys will contact you.